Come and meet Lisa at the New England Writers Signing. This event is being attended by more than two dozen writers all working and living within the six New England states. With a line up like that you know this event is bound to have a lot of flay'vah. This is Lisa's first public signing and it's taking place on her 48th birthday! All attendees are invited to go out for a celebratory drink with her after the event. Lisa is looking very forward to meeting and interacting with some of her Kind and Gentle Readers so we hope you'll come out to say 'hello' to this very talented hard-working New England author. 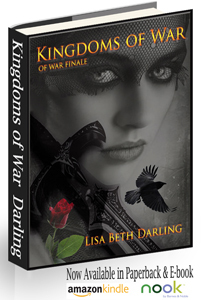 Many of Lisa's e-books and paperbacks will be available for purchase at NEWS in limited quantities. Credit/Debit Cards and Cash will be accepted at the event. No personal checks. To ensure you get the books and items you really want we suggest that you pre-order your books and swag. These items will be hand delivered to you by Lisa and signed by her in front of you at this event .Order your books & swag today. Pre-orders end 9/15/14. Books and swag on this page have been deeply discounted ONLY for the NEWS Event. Do NOT order from this page if you do not plan on attending the event as they will not be shipped to you. We hope to see on October 4th in Worcester, MA! 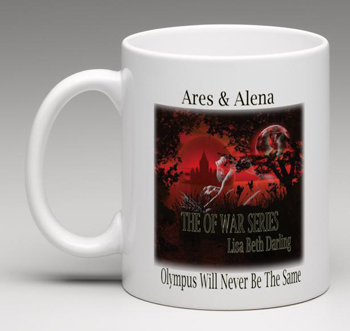 The OF WAR Series finale is now available in e-book, paperback and hard cover. SIGNED paperbacks and hard covers of all books in the series are available only through the web site. OF WAR Complete is now available in HAND SIGNED E-book! OF WAR Complete is available only through the web site. Yes, each and every copy is hand signed by Lisa! Available in .mobi and .epub only. NEW swag! Four designs are available in basic t-shirt, woman's t-shirt (extra soft cotton! ), mugs, and tote bags. If you're coming to NEWS order through this page. If you're unable to attend the event you may order here.